Here comes the Sweet Potato Pecan Pie from the Walmart Patti LaBelle line. BENTONVILLE, AR (KTRK) -- You can get your "Patti!" on this holiday season with new, limited-edition pies from the Patti LaBelle pie line at Walmart. Two million pounds of sweet potatoes. That's what it's going to take to get Patti LaBelle's suddenly famous sweet potato pie back onto shelves at Walmart. The pies are sweet potato pecan and available for the Christmas season only. The pies are hitting stores this week. Eyewitness News's Patricia Lopez was the only reporter invited for an exclusive behind-the-scenes look at at how these three different sweet treats are being made at the TwinStar Bakery in Missouri City. Remember those must-have Patti pies that sent shoppers in a craze last year? 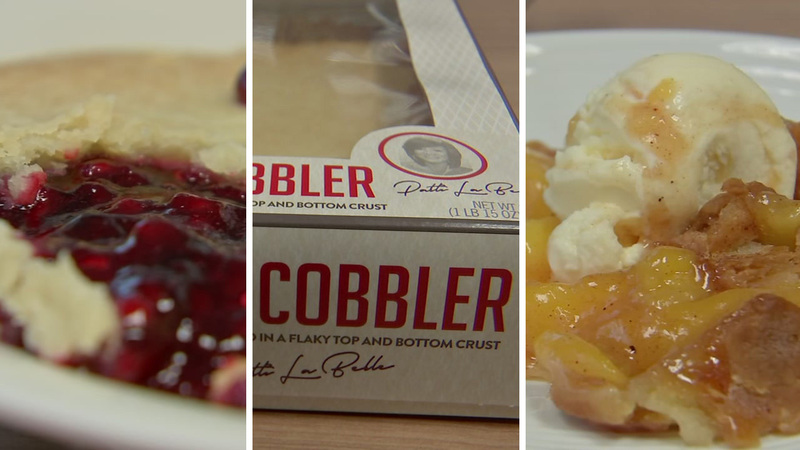 Patti Labelle is back with more desserts.